While my teenage years involved many hours writing skits, what is now commonly referred to as fan fiction, I discovered an artistic outlet that combined my three loves: music, storytelling, and television dramas. Selecting songs, arranging them in an order that told a story, and creating a finished playlist for specific TV pairings quickly became my specialty. It wasn’t just a random selection of songs that made this form of creative expression so appealing. The lyrics had to reflect one or both of the characters’ history while also representing the progression of their romantic journey. For instance, if there was a period of time when the character’s broke up then the song choices should reflect the before, during, and after. Part of the challenge at the time involved piecing together the order of the songs. In the days of CD’s and cassette tapes, you could only fit so many minutes on each side of the tape. So, I would write down the time for each song then add it all up to make sure I had enough room. Technological advances handle that now, but I mastered the art long ago and loved every minute of it. One of the many GH-inspired mixes I created! 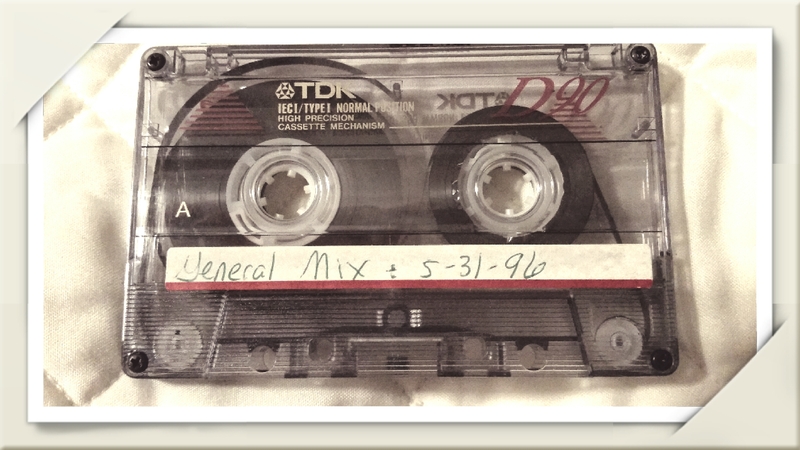 The source of much of my mixed tape inspiration came from my long-time respect and appreciation for ABC’s daytime drama, General Hospital. The pairing of Elizabeth and Jason (Liason, as the “shippers” call them) inspired many playlists over the years, during a time when the relationship was strained and distant. They quickly became one of my favorite couples to root for and their struggles as individual characters and as a romantic pairing endured many ups and downs. I made a few versions of the playlist as their story changed course but the last mix remains my pride and joy. Given the complex history of this pair, I was able to piece together songs that represented the climatic moments in the pairing’s journey through friendship, romance, and heartbreak. During a meet-and-greet event about seven or eight years ago, I overcame my shyness and gave my Liason mixed tape/CD to Elizabeth’s portrayer, Rebecca Herbst. It was a spur of the moment decision, and my only copy, but I also knew it was highly unlikely that I’d have an opportunity like that again. I was so nervous and only managed to squeak out about half of the words I’d rehearsed while standing in line. I don’t know that I’ll ever stop being star-struck no matter how much I acknowledge that actors are just like any other artistic spirit. I can only hope that she enjoyed listening to the playlist as much as I enjoyed the making of it. It’s been quite some time since I last created a TV pairing playlist. However, there are plenty of new songs playing on the radio now that when mixed together would tell one intriguing dramatic story! Have you ever made a mixed tape or playlist based off of fictional characters?